While checking in this morning at WPC, I did not bring a printout of the final confirmation e-mail I had received earlier this week. And I actually did that on purpose. 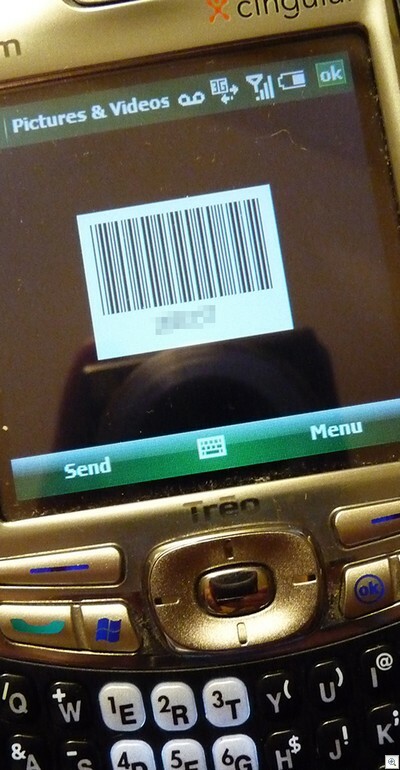 That e-mail contained a barcode which could be scanned at the regstration desk, and would make checking in a breeze. Asking people to print even one extra sheet of paper has…well, a pretty significant impact. Reveled in saving one more tree from a senseless death when the happy “boop” sound indicated that the barcode actually scanned. It worked a treat, just like those new electronic-only boarding passes. If you’re using Windows Mobile 6 with an Exchange 2007 server, then you already have the e-mail in HTML format. So you can just open the e-mail and position the barcode on the screen. if you’re still using Exchange 2003 like I am, well then you should prolly know the truth about HTML e-mail using Windows Mobile 6 and Exchange 2003. But your confirmation e-mail should contain a hyperlink to the barcode image. Click the one that has GenerateBarCode.aspx buried in it and bang…you’re in business! You know who has this sort of stuff knocked already? Who does this kind of thing every single day for the most ordinary things? This kind of stuff is old hat to Estonians, the most digital people on the planet.